A walk from the castle ruins towards the small park will lead us to a building called stables, formerly housing horse stables. When count Andrzej Maria Renard inherited Strzelce in 1815, he was interested in developing industry, breeding sheep and horses. He bred bloodstock horses in Olszowa. 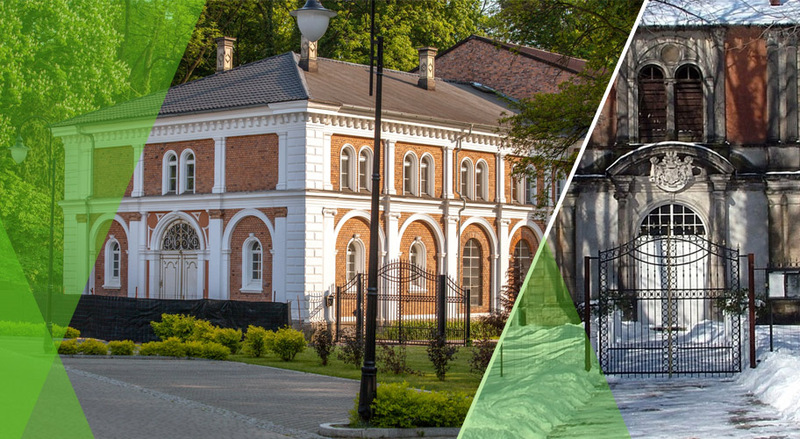 Stables in Olszowa, established in 1852, were well known in Europe. They kept also saddle and carriage horses. There were 50 horses in the Strzelce stables, including bloodstock stallions imported from England, kept for racing.